In the state of Karnataka, India there is place for visit in the Mysore District known as Mysore. Mysore is situated at the base of Chamundi hills. Mysore is renamed as Mysuru. The altitude of this place is 763 mt above the sea level. Kannada, English, Hindi languages are used in the Mysore. Mysore is famous for Heritage. It is second largest city in the Karnataka. Mysore is city with ornate wodeyar palaces like Mysore palace, Hindu Temples and Devaraja Market etc. Mysore is famous for its palaces. 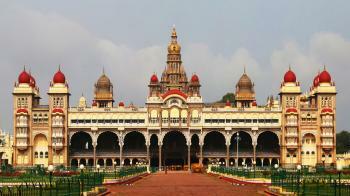 Mysore is also known as "City of Palaces". There are many places to visit. The climate of Mysore is cool. There are many temples in Mysore. In Mysore, different festivals are celebrated. Festivals like Id, Christmas and Deepawali are celebrated but the major festival is Dussehra. Mysore is best known for its Dussehra celebrations. There are different sports are played in Mysore but Cricket is the most popular sport in Mysore. 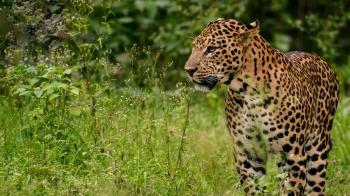 In the State of Karnataka, India there is a National park known as Nagarhole National Park. 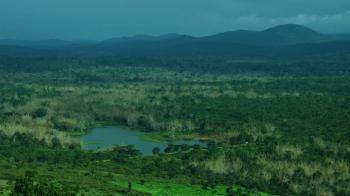 This national park is located in the Kodagu district. This park is one of the best managed park. This park is also known as Rajiv Gandhi National Park. Visitors enjoy many things in this national park like coracle ride, boat ride, elephant ride, Jeep safari etc. This park is famous for its wildlife. In this park Snakes, Four-Horned Antelope, Sloth Bear, Porcupine, Jackal, Mouse-deer wildlife are found. The elevation of this park is 960 mt. above the sea level. This national park spread 642 square km area. Mysore is the nearest city from Nagarhole. The distance of Mysore is 50 km from Nagarhole. The ideal duration is 1 to 2 days. Kannada, English, Hindi languages are mostly used in this place. There are many things like small streams, hills, valleys and waterfalls in this park. There are different types of Flora and Fauna in this park. There are more than 270 species of birds in this national park. This park open throughout the year. 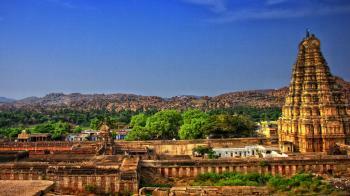 In the state of Karnataka, India there is a city which is famous for its historical monuments called Bijapur. In the rule of Adil Shahi these historical monuments are built. Bijapur is also known as Vijayapur. It is also known as City of Victory. Vijayapur is the district headquarter of Bijapur district. The altitude of this place is 479 mt. above the sea level. Kannada and English languages are mostly used in the Bijapur. There are many famous places for visit. By the Kalyani Chalukyas in the centuries of 10th and 11th this city was established. After the Chalukyas this city was passed to Yadavas. Bijapur is the biggest district place of the state. There are different types of festivals are organised in this city. 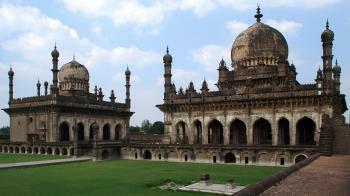 Bijapur Music Festival is the famous festival in this place. In every year this festival is organised by the government of Karnataka. Other festivals like Car Festival, Holi, Asar Mahal Urs festival and Diwali are organised in this city. In the state of Karnataka, India there is a small village in the district of Shimoga known as Agumbe. The elevation of this place is 643 mt. above the sea level. There are many places to visit in the Agumbe. It is a very small village. The population of this village is approximately 500 people. This place is famous for its Bio-Diversity and Scenic Beauty. At this place, there are lots of waterfalls. Agumbe is also called as the ‘capital of king cobra’ because there are variety of species of cobra found. At this place there are different types of Flora and Fauna. The Flora Dipterocarpus, Garcinia, Vateria, Persea, Adenia, Myristica, Dysoxylum etc. are here. These are the medical plants. The Fauna Tigers, Samber, Leopard, Wild dog, Barking deer, King Cobra, Flying Lizard, Malabar Trogon etc. are here. In the state of Karnataka, India there is wildlife national park known as Bandipur National Park. This park is situated in the Chamarajanagar district. The nearest city from Bandipur national park is Mysore. The distance of mysore is 80 km from Bandipur national park. It was established in the year of 1931. Bandipur National Park is famous for its wildlife and for attractive natural beauty. The altitude of this place is 1454 mt. above the sea level. Kannada, English and Hindi languages are mostly used in this place. There are many types of species in this national park. In this park there are many types of biomes. This national park spread the area of 874 square km. This park established as a tiger reserve because this park started the tiger project under the Indian Government. There are many types of animals in this park. Some list of animals are elephants, hornbills, deers, pythons, sloth bears, pythons, panthers etc. This park is created by the Maharaja of the Kingdom of Mysore. The ideal duration of this park is only 1 day. Wildlife safari is the way to enjoy in this area. There are more than 230 birds in this national park. In the state of Karnataka, India there is biggest waterfall situated in the Shimoga district known as Jog Falls. Jog Falls is the second highest waterfall in India. It is located near the Sagara Taluk. 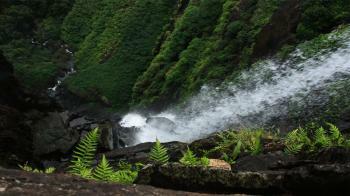 Jog Falls is also known as Geruoppe Falls, Gersoppa Falls and Jogada Gundi. The word Joga taken from the word Kannada which means Falls. Joga related to Kannada word which means wet. It is famous for its Spectacular waterfalls. The elevation of this is 488 mt. above the Sea Level. Kannada, Urdu and English languages are used in this place. The ideal duration of this place is only 1 day. 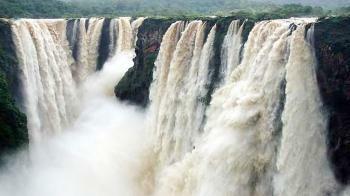 In the south India these falls are the one of the major attraction. Jog falls drops about a huge 253 mt in a single fall. These falls are create by Sharavathi River. The first highest waterfall is Nohkalikai Falls. This fall drops about a huge of 335 mt. Linganmakki Dam this waterfall is associated. Before the onset of monsoon season, when there is not much water in the Linganmakki dam, the Jog Falls are a pair of thin streams of water trickling down the cliff, as the water collected in the dam is exclusively for generation of electricity; during monsoons local rain water is the source of water to the falls. In the Chikkaballapur District of Karnataka there is an ancient hills known as Nandi Hills. The Hills is also called by the name Nandi Betta. The ancient Dravidian temple dedicated to the Nandi statue that is located here is responsible for the hills getting their so-called name. These Hills are nestled near the town of Nandi. The Hills are origin of the Arkavathy River. It is 10 Km from Chickballapur town. There are many stories about the origin of the name Nandi Hills. Nandi Hills was called Ananda Giri which means Hill of Happiness, during the period of Chola. Under the rule of Tipu Sultan, the fort was built so nandi hills is also called Nandidurga. 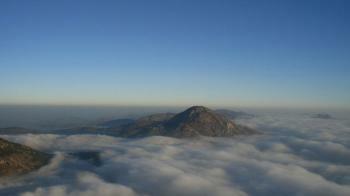 It is also perhaps called Nandi Hills because the hills resemble a sleeping bull. Lord Shiva and Parvati Temple adorns the hills. From the sea level Nandi hills are 4851 ft above. Hills are closed to Bangalore International Airport. From the national highway (NH-7) hills are located at the distance of 20 km. Nandidurga was traditionally held unimpregnable, and its storming by the army of Cornwallis on 19 October 1791 was one of the most notable incidents of the First War against Tipu Sultan of Mysore. 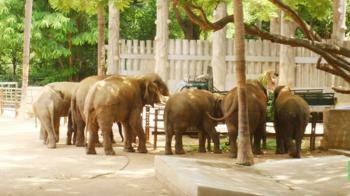 Mysore Zoo is a popular tourist attraction in city. Located at a distance of about 2 km from Mysore Palace. Mysore Zoo is spread over approximately 250 acres. It is considered as one of the best zoological gardens in India which is located in city Mysore of State Karnataka. Its a very good zoo with a lot of diverse animals and good protection for people from the wild ones. The Zoo is well maintained & definitely worth the time to spent with families and friends.